A new study published in the Journal of Psychiatric Research suggests that there is a link between traumatic brain injury and a history of attention-deficit hyperactivity disorder (ADHD). Findings suggest that adults with this behavioral disorder might benefit from improved screening. Researchers examined the responses of 3,993 adults who participated in the Centre for Addiction and Mental Health’s (CAMH) telephone survey between 2011 and 2012. The survey assessed the mental health, physical health, and substance use of adults in Ontario, Canada. Study researchers discovered that out of participants who had a history of traumatic brain injury (TBI), 5.9% stated that they had previously been diagnosed with ADHD at some point in their life. A further 6.6% screened positive with ADHD on the Adult ADHD Self-Report Scale during the phone interview. Because of the association between lifetime TBI and ADHD, researchers believe more research needs to be conducted to gain a better understanding of this association and how it affects the treatment of TBI and ADHD. 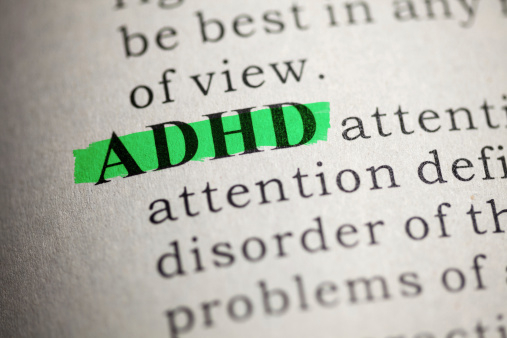 According to the Centers for Disease Control and Prevention, as of 2011, 6.4 million children between the ages of four and 17 have been diagnosed with ADHD. By 2020, the World Health Organization (WHO) believes that TBI could become the largest source of disease and disability in the world. Ilie, G., et al., “The association between traumatic brain injury and ADHD in a Canadian adult sample,” Journal of Psychiatric Research, doi: http://www.journalofpsychiatricresearch.com/article/S0022-3956%2815%2900237-X/abstract, published online August 7, 2015. McIntosh, J., “New study supports link between ADHD and traumatic brain injury,” Medical News Today web site, August 23, 2015; http://www.medicalnewstoday.com/articles/298478.php.